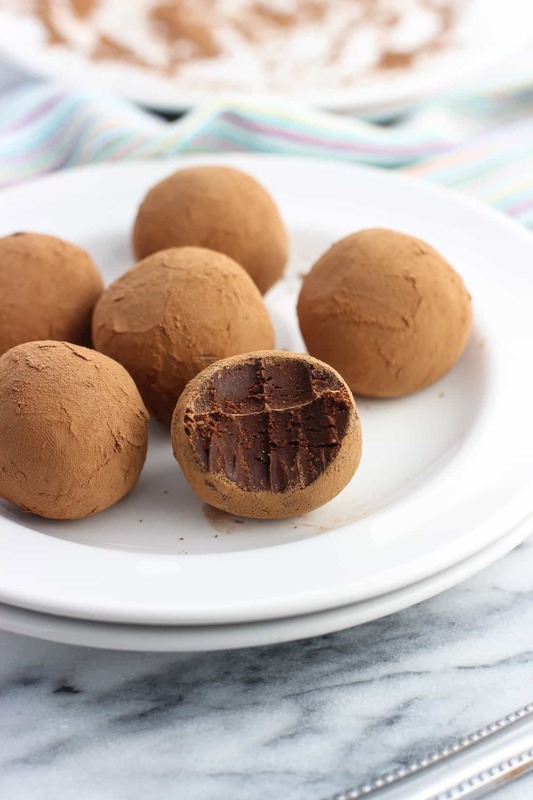 Chocolate Irish Cream Truffles are a rich and flavorful no-bake dessert that couldn’t be easier! This chocolate truffle recipe yields a small-batch for indulgence in moderation. Just six truffles with noticeable Irish cream flavor! Some days (and weeks, and months…) just call for chocolate. Maybe even years. It certainly helps deal with stressful times, right? After all, I definitely feel a little peppier knowing I have a sweet treat to look forward to at the end of a busy day. It also helps that I’m very responsive to my own food bribes. You know, the “you can make chocolate Irish cream truffles tonight if you make these five bajillion phone calls” kind of bribes. Works like a charm! Let me tell you, I got those phone calls done in record time because these truffles are just too good. Truffles are fancy pants kind of desserts that are shockingly easy to make at home. They use just a handful of ingredients and require no baking. They just need a few hours worth of hands-off chill time. With St. Patrick’s Day coming up, I was feeling a little festive (mind you I’m 0% Irish) and was eyeing up my small batch chocolate peanut butter truffles recipe to see how I could tweak it for a new version. Would something as simple as swapping out heavy cream for an Irish cream liqueur like Baileys work as well? 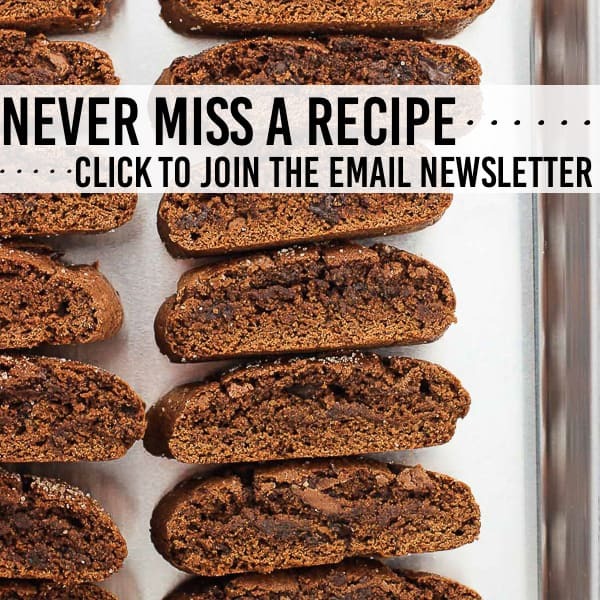 You want to start with arguably the most important ingredient – chocolate. I like to use a bittersweet chocolate from Ghiradelli with 60% cacao content — very rich and just sweet enough. 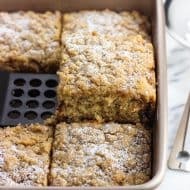 Plus it comes in a 4 oz baking bar so there’s no weighing and portioning out needed. 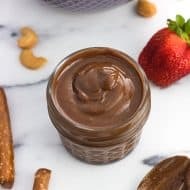 There’s a lot of talk of using chopped chocolate bars or chocolate chips when it comes to recipes in which the chocolate is melted. Reason being that the bars usually don’t have shape stabilizers like chips do and are better for melting. I’ll say that I’ve used both chocolate in bar form and chocolate chips for truffles (including these chocolate Irish cream truffles in particular). 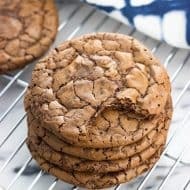 Honestly I don’t find a big enough difference for this recipe to go out of my way to buy chocolate bars for baking if all I have on hand are chocolate chips. Use what you prefer and are comfortable with. 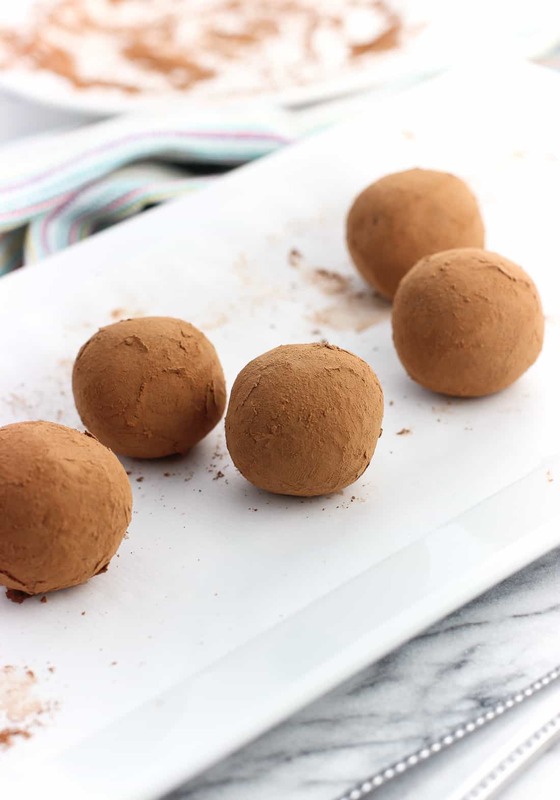 Once chilled, formed into balls, and quickly chilled again, these chocolate Irish cream truffles are ready to roll. Literally. 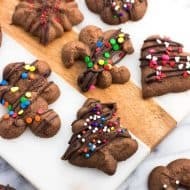 😉 You can decorate them however you like, with melted chocolate, sprinkles, nuts, etc., but I kept things simple with a roll in unsweetened cocoa powder. You know me…complicated dessert decorating is not my thing. With the Irish cream flavor shining through and the richness from the chocolate, unsweetened cocoa powder works as the perfect complement. While this is a small batch recipe, making just six truffles, the ingredients can be easily doubled, tripled, etc. for a higher yield. 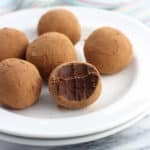 Chocolate Irish Cream Truffles are a rich and flavorful no-bake dessert that couldn't be easier! This chocolate truffle recipe yields a small-batch for indulgence in moderation. Just six truffles! 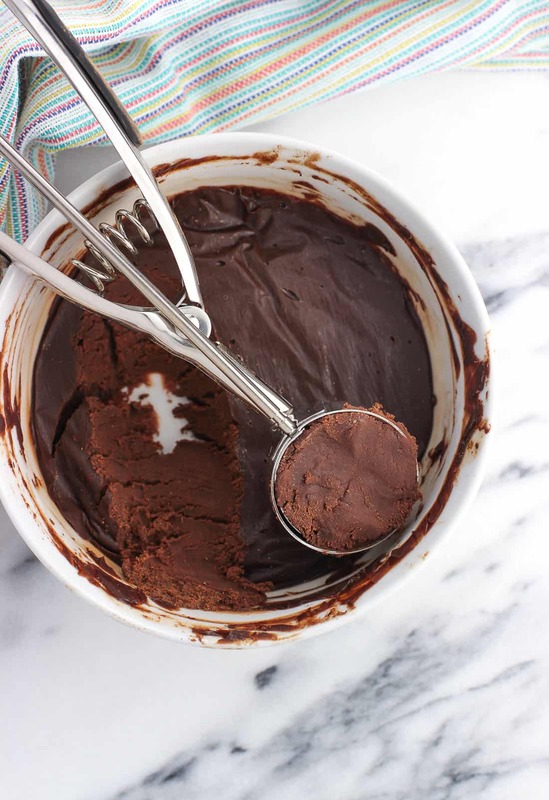 Add chopped chocolate to a heat-safe bowl and set aside. Heat Irish cream liqueur in a microwave-safe bowl for 20 seconds, or until it's hot (but not boiling hot). 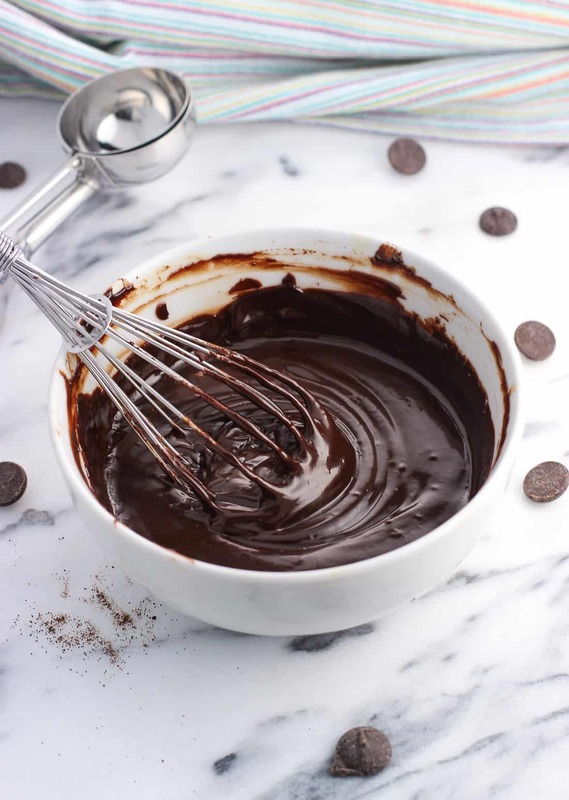 Pour over the chopped chocolate and let sit for 3-4 minutes. Begin to whisk/stir the mixture together. Add the butter and instant espresso powder and stir. You may wish to pop the bowl back in the microwave for a few seconds if the mixture needs to be heated a bit more. Continue stirring/whisking until the mixture is smooth and shiny. Cover the bowl with plastic wrap, ensuring the plastic wrap is pressed against the entire top surface. 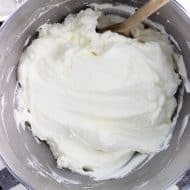 Refrigerate for two hours, or until the truffle mixture is firm enough to hold shape well. Line a plate with parchment paper. Using a 1-1/2" capacity cookie scoop and portion out the chilled truffle mixture. Lightly coat your palms with unsweetened cocoa powder to prevent the mixture from sticking, and roll out each truffle until round. Place rolled truffles on the parchment-lined plate and refrigerate again for 30 minutes or so until firmed up some more. 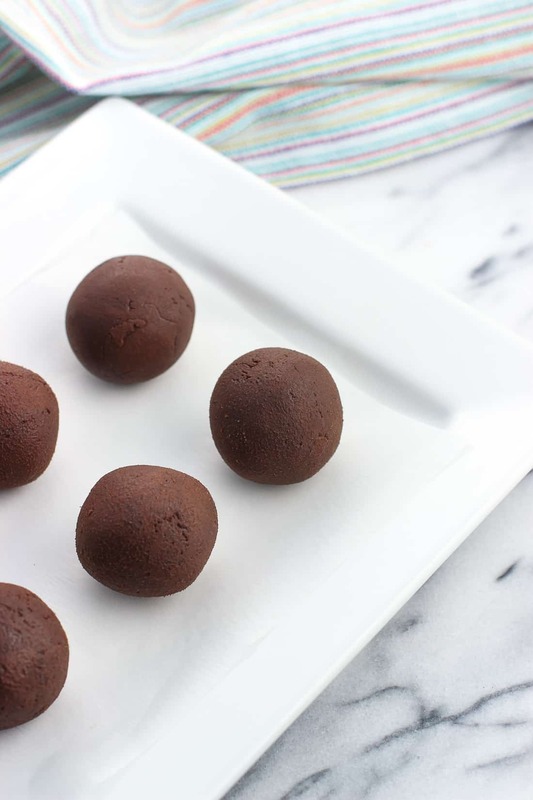 Add a small amount of unsweetened cocoa powder to a plate and roll truffles in it for serving. Store truffles in the refrigerator. You may use your favorite variety of bittersweet or dark chocolate, however I'm partial to a bittersweet variety that lists 60% cacao content. Please note that bittersweet chocolate is NOT the same thing as bitter/baking chocolate, the latter of which is unsweetened and would not be good here. 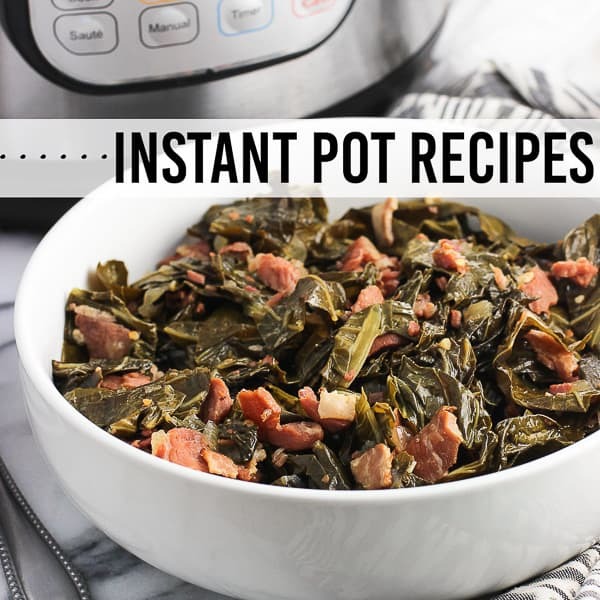 The recipe time is nearly all inactive, and includes 2 hours for the first chill, and 30 minutes for the second. 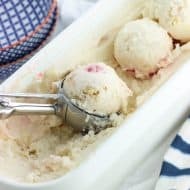 I just LOVE that this recipe just makes 6 truffles! Hi Alyssa! 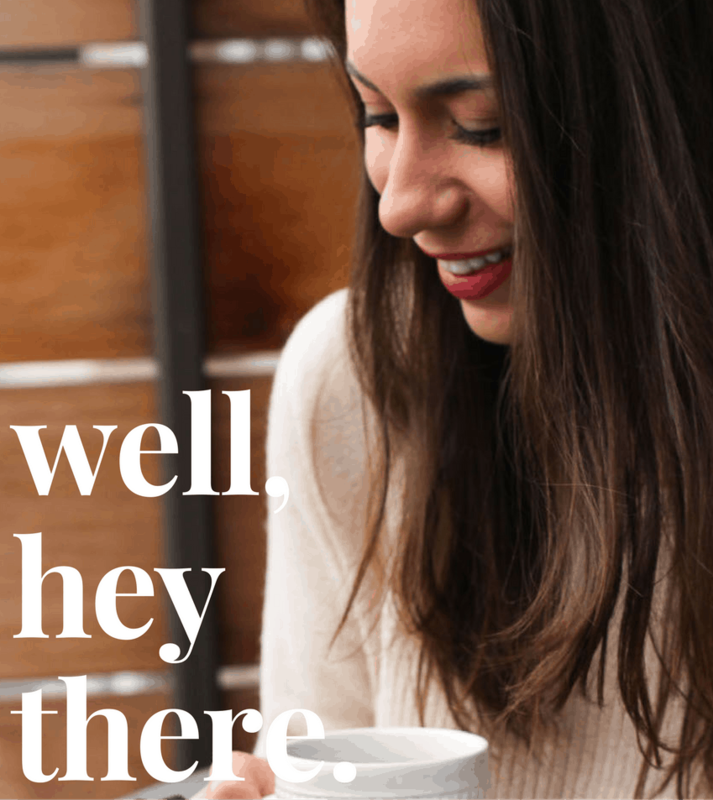 How are you?! 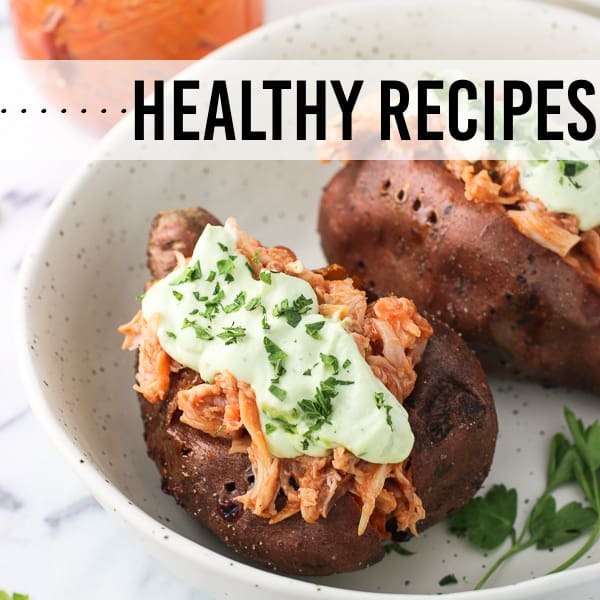 Something tells me you’re going to have a very happy St Patrick’s Day this year with these on your mind (and in your tummy). I love your idea of bribing yourself before you have these. Must try that! I’m a chocolate monster too. 6 is also a lovely number to give as a gift, don’t you think?